Hypoparathyroidism is a medical condition in which the parathyroid hormone is either greatly decreased or absent. This results in hypocalcemia (low blood calcium levels) and moderate hyperphosphatemia (increased phosphate levels in the blood). The parathyroid glands are small endocrine (hormone producing) glands located in the neck behind the thyroid gland. Specialised cells known as chief cells produce parathyroid hormone (PTH) which is responsible for maintaining calcium and to a lesser degree phosphate levels in the blood. Calcium is the most abundant mineral in the body, it is responsible for many essential functions such as cardiac function, muscle contractions, nerve impulses, blood clotting, stabilises the permeability of the cell membrane to sodium, cell growth, providing strength to the teeth and bones. 99% of calcium is stored in the bones, the remaining 1% is in the blood. The role of the four parathyroid glands is to continually monitor blood calcium levels, if they drop, the glands secrete a parathyroid hormone which causes calcium to be reabsorbed from the bones, increases absorption of calcium from the food in the digestive tract and suppresses calcium loss from the urine. If blood calcium levels rise, the parathyroid glands shut off production of parathyroid hormones which in turn decreased bone resorption, decreased intestinal absorption and increased renal excretion (via the urine). Primary hypoparathyroidism: Most cases of primary hypoparathyroidism in cats are idiopathic (no known cause) atrophy/wasting of the parathyroid gland. 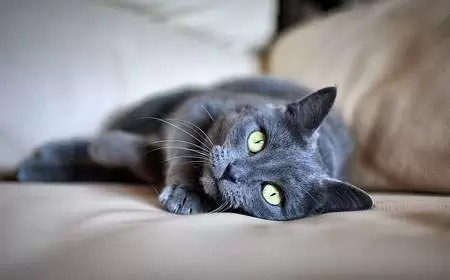 Other causes of primary hypoparathyroidism include the destruction of the parathyroid glands by the cat’s own immune system (known as immune-mediated parathyroiditis). Transient hypoparathyroidism: This may develop due to severe magnesium depletion which suppresses secretion and activity of the parathyroid hormone. Magnesium is also required for activation of vitamin D in the kidneys. Iatrogenic/secondary hypoparathyroidism: This is the most common cause of hypoparathyroidism in cats and is usually caused by the accidental damage or removal of the parathyroid glands during surgery to remove the thyroid gland. 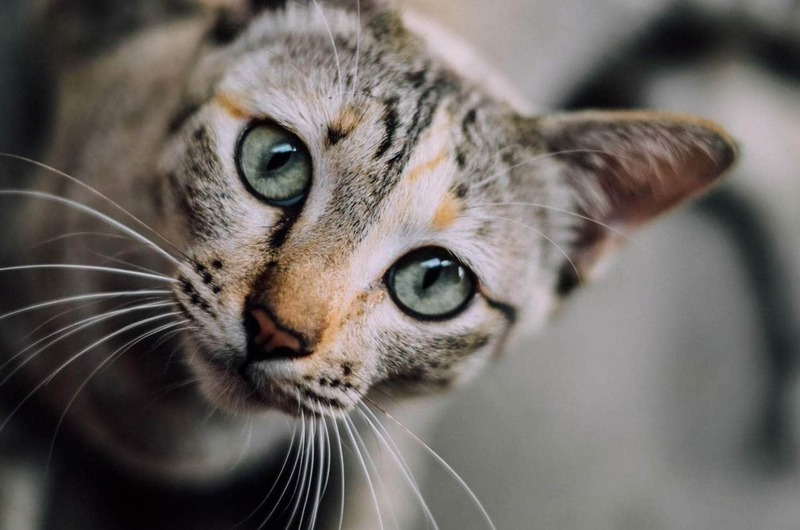 As the most common cause of hypoparathyroidism is due to the accidental removal of the parathyroid gland during removal of the thyroid gland, the mean age of affected cats is the same as those who are diagnosed with hyperthyroidism. This is middle-aged to senior cats and is seen more in mixed breed cats, males are slightly over-represented. The symptoms of hypoparathyroidism are attributable to hypocalcemia brought on by the reduction/halt to parathyroid hormone levels. Mild hypocalcemia may not produce results at all. It is only when serum levels drop below 6 mg/dl that clinical signs develop. Your veterinarian will perform a complete physical examination and obtain a medical history from you. Recent thyroidectomy would raise his index of suspicion of hypoparathyroidism. Your veterinarian may observe muscle trembling, decreased heart rate and panting. There are a number of other causes of hypocalcemia in cats, so your veterinarian will need to rule these out. Complete blood count and biochemical profile to rule out other possible medical conditions. This may reveal low blood calcium levels and high blood phosphate levels, the only other condition which causes decreased calcium levels and increased phosphate levels is renal failure, in which case elevated BUN levels should also be present. Serum PTH may show low or undetectable levels. Exploratory surgery may reveal atrophied or absent parathyroid glands. Your cat may need to be hospitalised and treated initially until his levels of calcium in the blood have increased. Your cat will need to be stabilised, and once then will require maintenance therapy to keep his calcium levels up. Slow intravenous administration of calcium gluconate 10% solution. Fluid therapy and nutritional support if your cat is anorexic. Once the cat has stabilised, oral administration of calcium supplements. Adjustments may be necessary with both vitamin D and calcium in the first few months. ECG to check for cardiac abnormalities. Regular blood tests to monitor calcium levels to ensure they don’t become too low or too high (hypercalcemia), monthly checks will be necessary for the first six months and then every 2-3 months thereafter. The long-term prognosis is excellent with proper supplementation and regular monitoring of serum calcium are maintained. If the parathyroid gland was damaged during surgery to remove the thyroid gland, normal parathyroid gland function may resume in a few months.